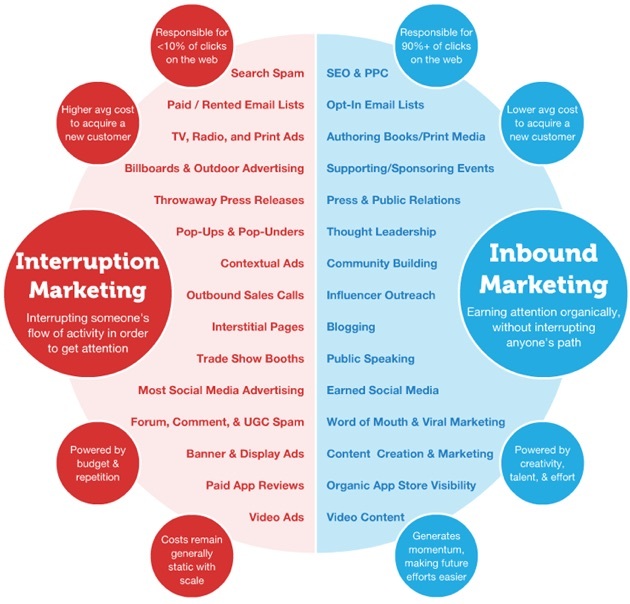 Here at CloudRock, we are huge advocates of inbound marketing. We believe that one of the best ways to get customers is to continuously create valuable content to build your credibility and gain their trust. Inbound marketing is a type of marketing strategy that utilises many different forms of pull marketing to attract customers to you. These include content marketing, search engine optimisation, social media, marketing automation and so on. Over time, you build trust and credibility among your target customers. One of the main issues we see with many companies is that they always embark on digital marketing efforts tactically, rather than strategically. By that, we mean that they may decide to start a SEO campaign to increase their organic search rankings, or Google PPC campaign to raise awareness or social media campaign to engage their community, but these are either done singularly or without a unifying strategy. Most of the time, these tactics are done one after the other as the marketing manager or business owner tries out the marketing flavour of the month. But it can be hard to get the right results without the proper strategy. After enough failed attempts, these businesses will start saying the digital marketing doesn’t work and start paying for ads in The Straits Times. One of the greatest benefits of running an inbound marketing campaign is that it provides you with a framework with which to base your digital marketing strategy on. It helps piece all the different pieces together from content marketing to SEO to email marketing and links all of them to revenue. If you have worked in any sales or marketing capacity, you would already know that these two departments are always at loggerheads with each other. The marketing team will always complain that the sales team doesn’t close the leads that they generate while the sales team will claim that the leads are of poor quality. An inbound marketing campaign, especially with its lead scoring, helps better align these two departments. Your brand visibility and awareness online will increase dramatically when you start creating content regularly, improve your search engine rankings, engage with your customers on social media. Some studies suggest that site traffic increases after the website publishes 21-54 blog posts. Less people are paying attention to disruptive ads. An interesting claim states that people are more likely to survive a plane crash than they are to click on a banner ad. And because people are avoiding interruptive advertising, the costs of acquiring a customer increases when you’re using outbound marketing.